John Cabot University concluded Frankenreads, the month-long international celebration of the 200th anniversary of Mary Shelley’s Frankenstein, by hosting eminent British poet and writer, Fiona Sampson who discussed her latest book, In Search of Mary Shelley: The Girl Who Wrote Frankenstein. John Cabot students Bebe Vio, Matthew P. Beckmann, Denise Di Castro, and Andrew J. Mixson were honored at the Italian Parliament on October 11, 2018 during the America Award Ceremony, sponsored by the Italy-USA Foundation. During the month of October, John Cabot University will be exploring the extraordinary afterlife of Shelley’s creation through our participation in Frankenreads– a worldwide celebration of the novel. The JCU Institute for Creative Writing and Literary Translation invited the JCU community to a reading by a group of talented students on June 20th. 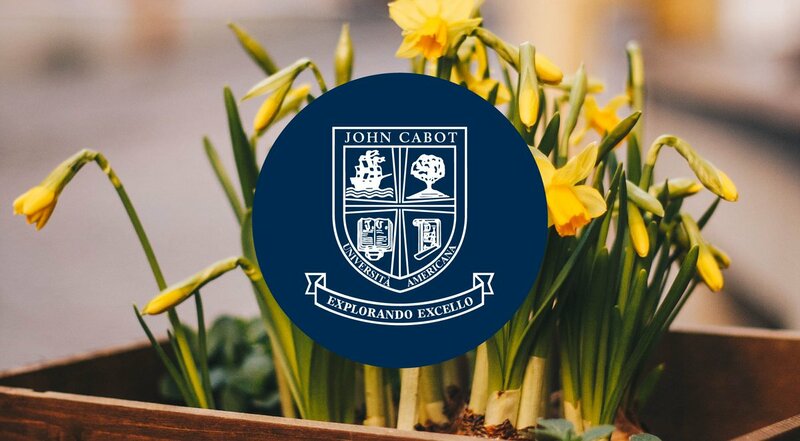 John Cabot University hosted an Ambassadors’ Lunch on Friday, June 8, welcoming 28 ambassadors, cultural attachés, and embassy representatives from 21 countries to the Guarini campus in Rome.